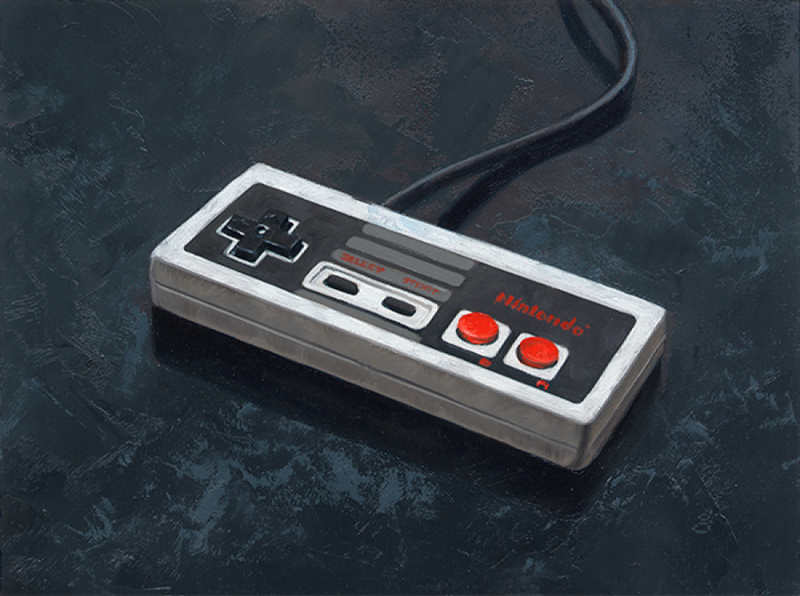 If you've ever seen our Instagram account you'll know we love a bit of gaming art here at Nintendo Life. The majority of the art we come across is digital, however we recently came across the work of an American artist who does things a little differently. 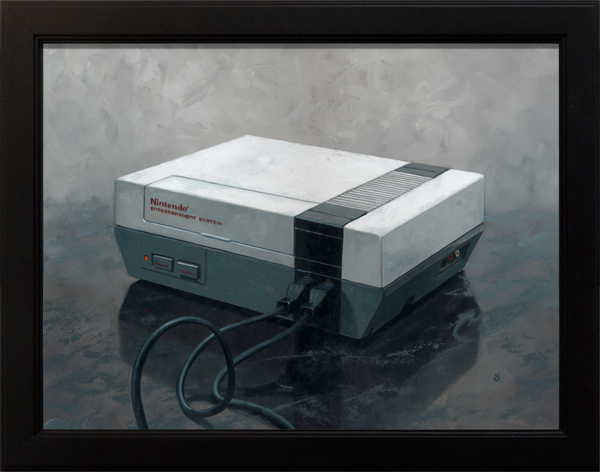 Artist Randy Gallegos has been painting his way through the ages with works of classic hardware consumers have loved, which of course features video game consoles, and we think they look amazing. He has recently been working on the NES Zapper and kindly supplied us with some behind the scenes shots as the work comes together. So Randy, tell us a little bit about yourself? Some of your readers may know my illustration work from my long association with games like Magic: the Gathering and Dungeons & Dragons. I've spent years working as an illustrator in the fantasy / sci-fi genres. This series, Hearts for Hardware has turned into a bit of an obsession as a side-story to my illustration art. I've been a gamer since the Atari 2600 days, and have always had a fascination with gaming hardware quite apart from the games; the way they are sort of "magic boxes" and seem to radiate the promise of enjoyment and fun. 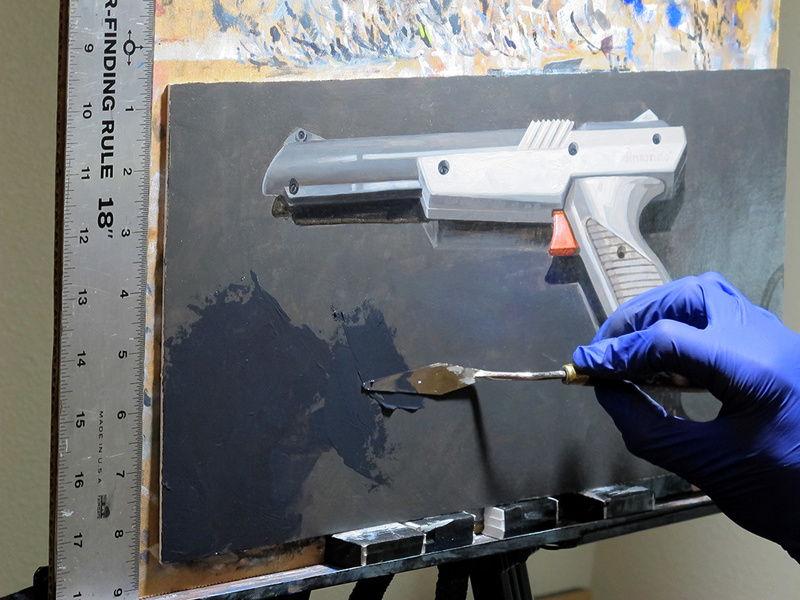 We see you started by painting the NES, but what exactly is the scope of the project? 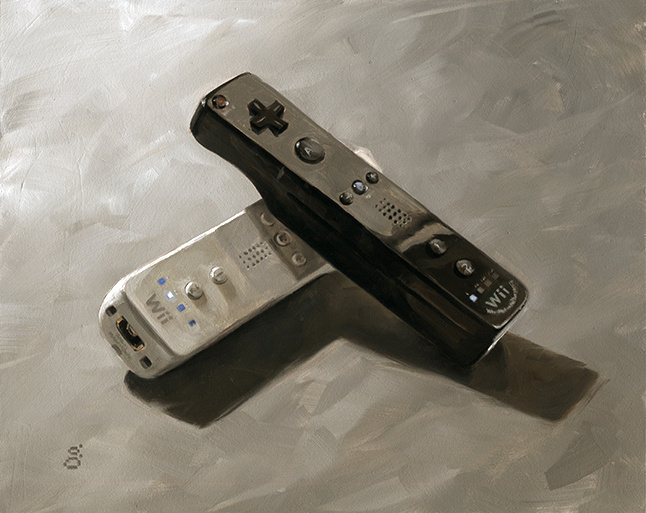 Actually I think I started the series with the Wiimotes or Wavebirds, but although the NES was of course hugely popular, my intent is to document in paint an overview of the history of hardware that people have loved. 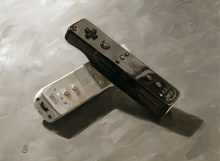 In a few cases this might wander away from video game consoles. I painted an Apple Macintosh SE and its mouse, as it similarly is old hardware people love, while not a dedicated gaming machine. In other cases it'll include the more obscure or import-only hardware (such as the Wonderswan Color I painted, recently). The first paintings in the series were shown at a solo show at Krab Jab Studio in Seattle, WA this past fall, and I loved having it displayed in a legitimate art space. How do you go about sourcing your subjects? I often buy hardware, but the goal of this series is not to start collecting hardware - honest! Sadly, a lot of old hardware I once owned but got rid of over the years, including the NES and Zapper. It's nice to have some of it around again. That said, I have also had a couple of folks loan me hardware to photograph, and as this series is expansive I'm very glad to have folks offer to lend me things - they get free prints of resultant paintings as a thank you. And they get their hardware back! 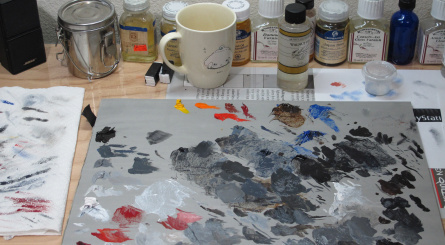 What exactly do you try to capture in your painting? A few pieces have sort of system-specific in-jokes or references, but it's not a requirement for me - the goal is to paint "serious" still life paintings of hardware, to take them seriously as objects worthy of having art made of them. Most "sets" of hardware have visual themes across the set, so the Zapper hews to the NES set, painted previously. Predictably, when I inevitably paint R.O.B., he'll also fit in with the other pieces visually. If I can make a nod to something about the system, I'm happy to, though. 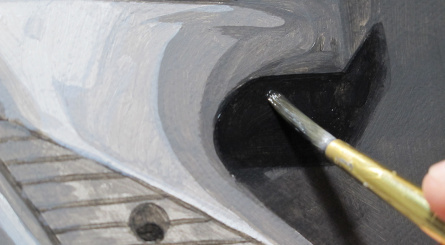 What's the process and how do you get started on a new piece? Another goal of mine is to paint these at apparent life-size, so I choose a size and start. 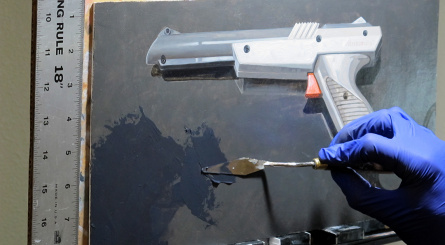 I often paint on primed hardboard (also known as masonite), but a few pieces are canvas panel, as is the NES Zapper in the pictures. I transfer the image to board, usually by graphite transfer, coat it with clear acrylic medium to seal it, then begin with an underpainting in acrylic paint. As it turns out, the majority of video game hardware is some shade of gray (laughs), with a few pieces in the beige range. The underpainting helps me speed things up a bit, kills the white of the board, and helps me establish the overall image before moving to oils. 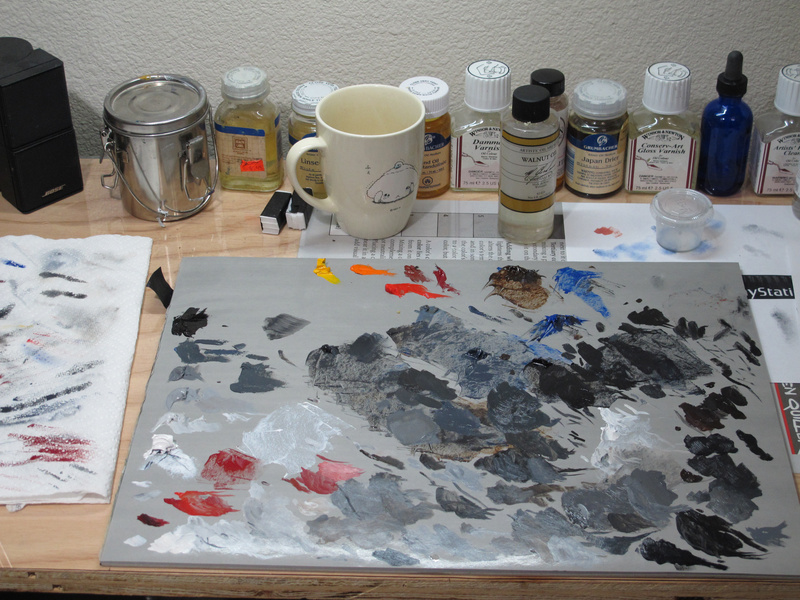 I seal the underpainting in another coat of acrylic medium, then switch to oils. How would you define your style for this collection as a whole? The final rendering is in oil paint. My usual illustration style is quite tight and smooth, with not a lot of brush strokes visible. 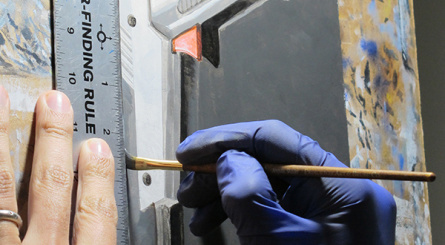 The hardware pieces are quite a bit looser for me - I usually let brush strokes stand without blending them away to hide them, I freely use a painting knife and paint a bit thicker here and there. 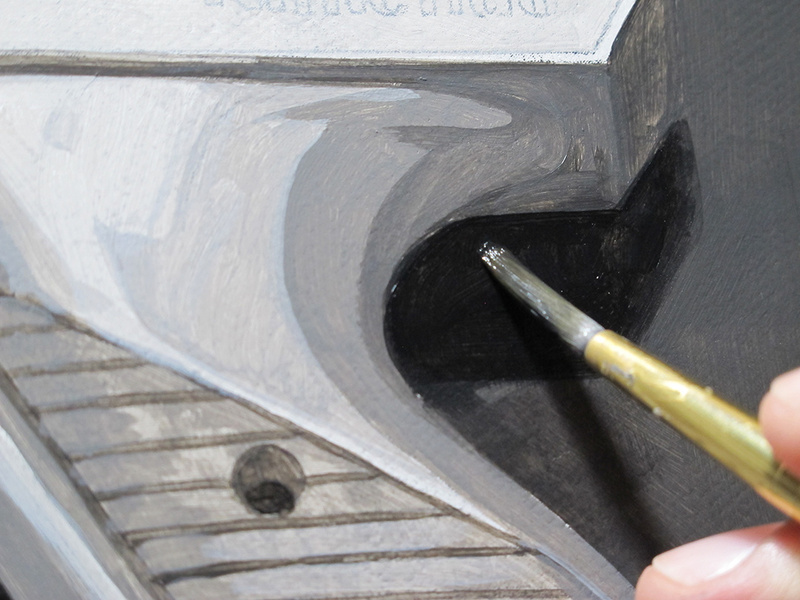 The goal is accuracy without being overly fussy - things like lettering have a sort of hand-painted look to them. 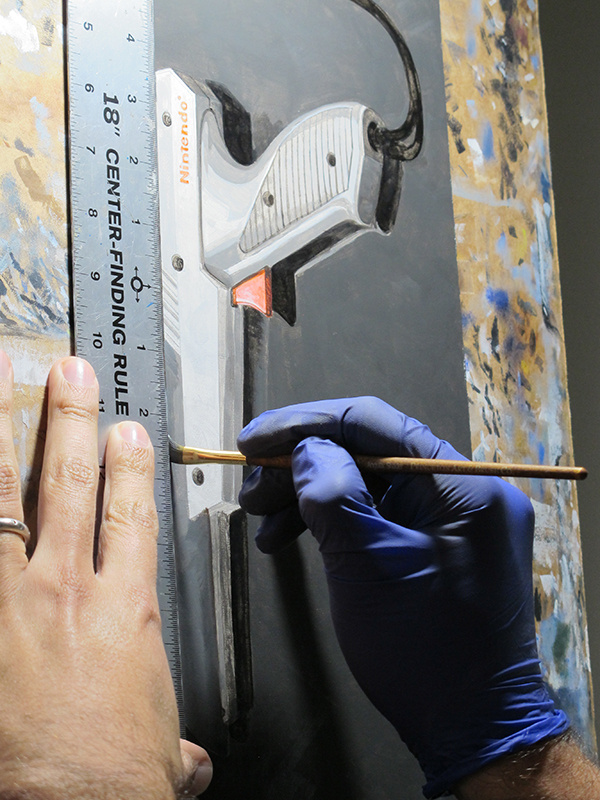 It wouldn't be difficult to make it laser-accurate, but the more one goes that accurate, the less the piece looks like a painting. As it stands, many people still ask, "Is that a painting?" Yes, yes it is, and especially when viewing the original, there's little mistake with the surface texture and shine. 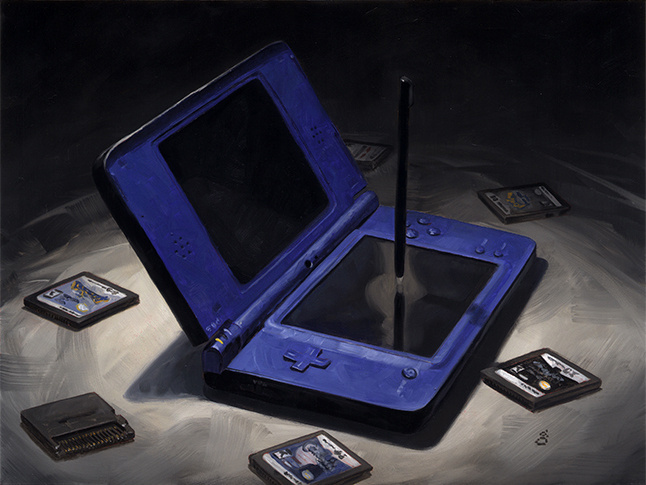 So do you sell the original artwork online? Of course, I need to make a living! The original paintings and limited-edition prints I sell via my website if anyone is interested. 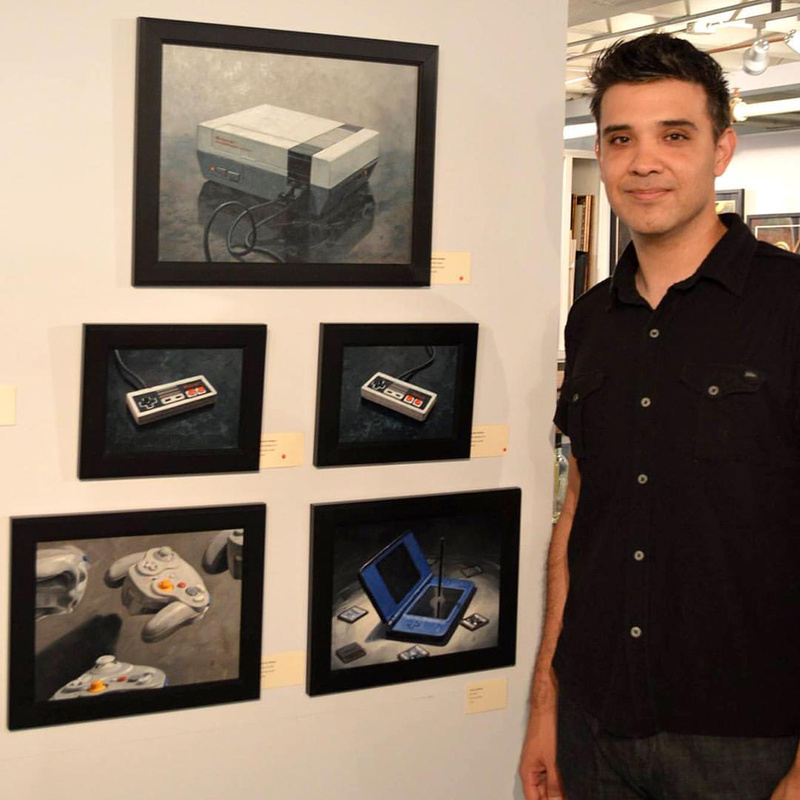 I've also begun attending retro gaming shows and hope to expand my in-person appearances for this work. It's incredibly fun having the art be a spring-board for happy memories and conversations. If you see me please come and say hello! Thanks to Randy for contacting us and sharing his amazing artwork. You can find him at his website Hearts of Hardware and also on Instagram and Twitter. 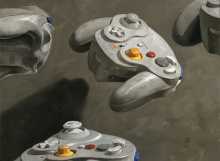 What video game hardware do you think deserves to be immortalized as artwork? Let us know in the comments below. Great technique and pieces..they bring a nice feeling of nostalgia.. Thank goodness I wasn't the only one! DS and the Wave Bird are pretty nice. The others are nice exercises but I don't see too much of a point to all that work besides practice. Technically very impressive. All of these look great! Thought the NES Zapper was a photograph for a second. Even though some of them are a little step in price (cheapest being $450), I might be interested if he made made a US SNES controller or console painting. That NES Zapper looked so real. Wow! Amazing work, love them There's a thickness to your technique that really comes across in 3d even viewing them on a crappy netbook right now! Really like the DS one. I mean they are all good but the DS one is really something. 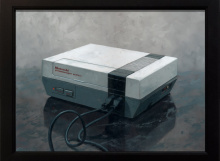 I'm not sure what it is but there is something really beautiful about that NES console piece. The DS looks incredible! Specially the DS carts look like the real thing.